Use this plaster mold, which has a rhombus shape, to create unique slab and coil serving bowls and decorative pottery pieces. 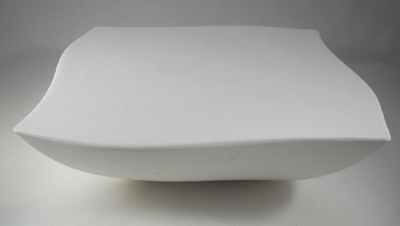 This plaster mold's dimensions are: 7.25" width x 7.25" length x 2" height . All our hump molds are made of pottery plaster and are designed to be used with clay, including earthenware, stoneware, and porcelain.